"Guaranteed Lowest Prices in Katy, TX"
Welcome to Just Jump Katy Bounce House Rentals! When you are looking to make a child’s event more unique, a bounce house rental may be the furthest thing from your mind. Sure they look fun, but what about the cost and set up hassle? Just Jump Katy moonwalk rentals have tons of themes and characters to choose from, with the affordable moonwalk and bounce houses that can fit any party budget big or small! With one low price, we can guarantee your children and their friends will be entertained for hours while you enjoyed the best bouncy castle rental Houston has to offer. With our vast varieties and great prices, your perfect party is within reach. Houston is a large Texas city; how can you be sure that we are the best bounce house rental company around? We provide not only top quality bounce houses that are up to date with the latest trends, but also offer a low cost mixed with an expert set up that makes renting and using one of our moonwalks easy and hassle free. We make sure always to keep in stock the latest Disney character themed bounce houses, as well as different boy and girl bouncy castles that can fit your child’s personality. Whether your little man is a huge sports fan or your little princess can’t stop talking about the friend’s party with the giant pink castle, we have the bouncy castle rentals for you. With a name you can trust, Just Jump Katy has the affordability and quality you just can’t find anywhere else. When trying to plan an event, affordability is going to be a key factor in the decisions you make. From the cake to the entertainment, you want to get the most for your hard earned dollar while still making your child’s event memorable. We thoroughly understand this and give our customers only the finest party moonwalks and inflatable bounce house rentals available at a price they can love. With all of our fees upfront and monthly specials to choose from, our bounce house rentals never leave you second guessing. With a multitude of styles and themes to choose from, Katy party rentals put you the customer first with prices and service that will leave you contented. We offer several services and different inflatable bounce house rental options that can fit any party theme. With combination bounce house rentals and flexible event scheduling, our friendly staff can assist you with every step of our rental process. Let us liven up your next party with a moonwalk rental that is sure to have your children lining up for their next bounce. 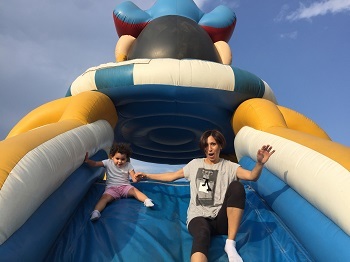 Take a look out our various bouncy castle rental services to find the one that is right for you so you can start enjoying Just Jump Katy Rentals: a bouncing adventure made for all ages. 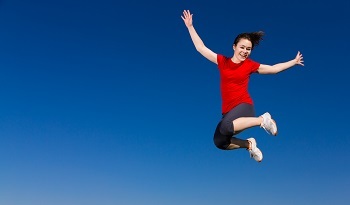 Is your child very active and loves sports? We have several bounce houses that are sports themed for your favorite MVP. From soccer to football to basketball, we have a variety of favorite sports themes that can have your little star bouncing. Whether it be for a child’s birthday or your little league’s after season party to celebrate another successful year, our moonwalks and inflatable sports bouncy house rentals can keep the party going. Give your sport’s lover the best present with one of our sports-themed bounce house rentals today, we know you won’t regret it. Most little girl’s love the color pink and all things fairy princess. If this sounds like your daughter, we have just the bounce house rental theme for you! Our pink girl’s bounce house service offers many childhood favorites from Barbie to Rapunzel all in a lovely shade of pink. Your little girl will love our pink bouncy castle, so why not rent one for her next special event? Make her next birthday one she will always remember with a special pink bouncy house rental all the girls will love. If you are looking for something a little different from the normal bounce house rental, do not worry! We offer several different types of inflatable rentals to choose from. Moonwalk rentals, as well as combination bounce house rentals, are also available. Several of our bouncy castles come in different combinations, such as with an attached slide for the kids to have extra fun climbing all over. Slides with and without water, inflatable jungle gyms, and more are also here to choose from so you can be satisfied with every choice you make. Each slide and moonwalk rental comes with our set up guarantee and easy pricing system, so you still receive an affordable deal that will make both you and your child excited when the bouncy house arrives at the party. Renting bounce houses are not only for birthday parties; we cater to several different events, so you still get a cheap bounce house that is sure to entertain no matter what event you are hosting. Our bounce house rental services have been used in many different events over the years with great success, and we know they can work for yours as well. Birthday parties are still a huge favorite, and many of our bouncy house rentals fall into this category. Different themes such as the sports and pink girl’s bouncy castles are very popular for these events, as it is a way to accommodate several children at once which can keep the party going for hours. Our affordable moonwalks and bouncy castle rentals for Houston have been used successfully in large children’s fairs and are often considered one of the best parts of the event. 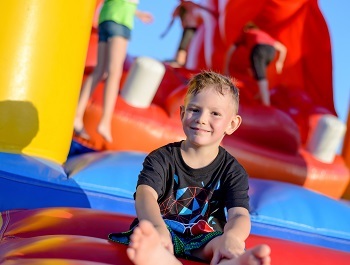 Our staff will come out to your event with all the equipment necessary (which comes as part of your rental fee) and set up the bounce house quickly, so you don’t have to wait hours for one to inflate. Whatever event or theme you are going for; we have just the bounce house rental for you. Affordable moonwalks, cheap bounce house rentals, and friendly service are all a phone call away when you trust Just Jump Katy with any and all your bounce house rentals needs. For more information regarding our discounts and monthly deals, give us a call for the best bounce house rentals in the greater Houston area!